After graduating from the three year intensive Teachers' Training Course at the Royal Academy of Dance in Londonhttp://www.rad.org.uk, Kim felt it was imperative to actually dance before settling down to teach. So she went on to enjoy 15 years 'treading the boards'. None the least of those years were spent in America where she performed with the Nevada Dance Theatre Ballet. In Nevada, her sometimes limiting height of 1m 78 was a blessing, leading to many exciting jobs as one of the famous Bluebell Girls. At the same time Kim was instrumental in founding the Civic Ballet Company, not only appearing as one of its guest artistes but also teaching and inspiring the young ones of the community to grow in the art of ballet. 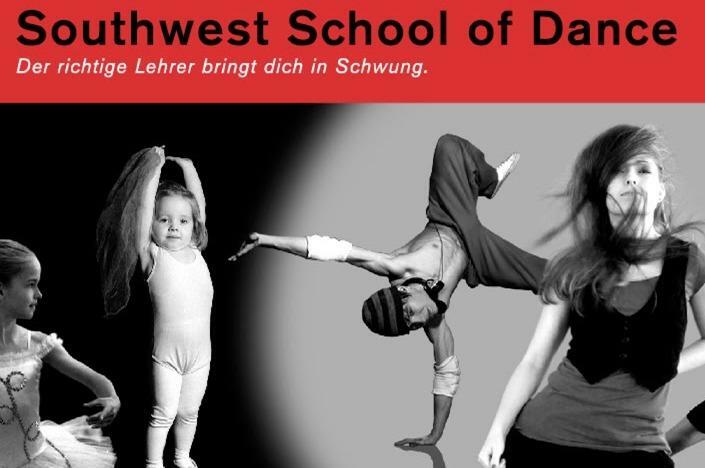 Her own personal training, teaching and performing has taken her as far as the Far East, throughout the States, back into Europe and now finally to Berlin where she feels she truly belongs. One of her most happy memories comes from London....the day Michael Bennett cast her in the original West End version of "CHESS". Kim credits the success of her entire career to "good teachers early on". 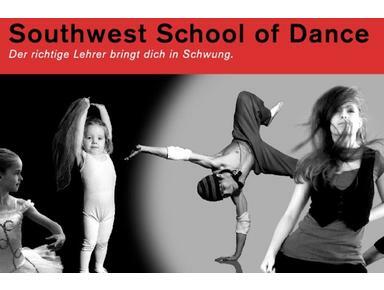 And the success of the Southwest School of Dance? ........... to being a mum!